Have questions about your nylon HolyOak whip? How do I order my whip??? First, Send me an email. Make sure to tell me 1. what kind of whip, 2. the plait count, 3 the color(s), 4. the pattern and 5 the handle length for bullwhips or material for show whips. I will send you an invoice and get you on the list! I have grass stains on my fall. How do I clean them off? I suggest using a soft scrub brush with a dab of dish soap and cold water. If you use hot water you run the risk of removing the wax. It will not hurt your whip to submerge it in water... but I do not recommend it. How do I change the cracker? Please visit the blog I wrote about changing crackers for details and pictures. How hard is it to care for my nylon whip? I wrote a blog about that too, find it Here. Do I have to re-wax my whip at some point? Most whips will do just fine with only one wax. This really depends on how you are going to use your whip and the demands you place on it. I am more than happy to re wax them if you want that done. Do the colors of the whip change when they are waxed? Yes and no. Some colors change quite a bit. Anything with a black undertone will darken a lot, like maroon, burgundy, slate blue, hunter green etc. Some colors don't change at all like the neon yellow, black and white. Email me if you are worried about it. Are your whips set up to have the fall changed? Yes, it is pretty easy to change out the falls on my nylon whips. You just have to break the seal in the fall hitch and proceed as normal. *note* I will not accept a return on a whip if the seal has been broken or tampered with in any way. Can I crack my whip in the rain or snow? Yes, Please feel free to enjoy your whip in crazy weather. The nice thing about nylon whips is thy don't get hurt by a little moisture. I love to watch the spray come off the whip in the rain. If you play in the snow, I recommend sun glasses so your eyes don't get tired from the glare. Do you give a discount for matched pairs? No, I do not because they are more work than just building two whips. I don't charge extra either.... lots of whipmakers do charge more for a matched pair. How long is the waiting time to get a whip? I do my orders on a first come first serve basis. (Unless you are willing to pay for a rush order) The wait time really depends on how many people are ahead of you on my list. At this very moment, it is about 5 months. If you have concerns about the timing just shoot me an email. Why do I have to wait longer for a Tibetan Wave Series? Technically, it is the same wait time as everyone else. The difference in time is the time it takes me to make 4 whips instead of 1 and make sure that your whips are balanced with each other. When I make a set I do them together so they will perform as much alike as possible. That requires a little more time and care than just (whipping) out 4 different whips very quickly. What is the difference between the Tibetan Wave and the Sonic Alignment? Tibetan waves come in one length and 4 color choices. Sonic Alignments can be anything you can dream up! I did write a blog going into the details about the differences. Do you ship internationally? Yes! The best price I can find right now is $59 USD. This is the same price for up to 4 whips. If you have a friend who wants to order too, I'll ship together so you can split shipping cost and save a little. Frankly, I am shocked at the cost to send things overseas and I am sorry about that. Do I have to assemble my whip when I get it? No. All whips come ready to crack. The crackers are attached already and the show whips are completely assembled. What length is good for a beginner? I think 6 foot is a good place to start. Its just fast enough and just slow enough. It won't be so fast you will hurt yourself and it also won't be heavy like a sledgehammer. You use muscles working a whip that you never use any other way... It is good to start out light. I thought you sold performance pipe whips.... What happened to that page? I do make them and I would be happy to make you one. I took the page down because I am working on a new design that I think is going to be Amazing! Will you donate a whip to my charity? Maybe, depending on what it is. Email me to discuss it. Do you teach whip making classes? No, I don't have that kind of time right now. I want the Sonic Alignment training. Will you give a discount if I get a group of people together? Yes! I love doing group activities. Will you travel to us for a group training. I'm open to that. I have a child who has classic autism and I am always going to be a mom first. It would have to work into my schedule. If my travel and lodging were taken care of, I would consider coming to you. Miss Oak, Is your name Bobbi or Holly? LOL! You wouldn't believe how many emails I get addressed to Holly. I guess it is a little confusing. My first name is Bobbi and my last name is HolyOak. Why don't you like that "flying V" pattern? It starts to look all messy when the strands are dropped. There is no way to make it look perfect and I am kind of a perfectionist. I will do it if your heart is set on it but it doesn't make me as happy as the other patterns. I want Tibetan Wave Training. How do I find a class? I'll make sure to post updates on where GM Ron Lew is going in my blog. He travels all over the world doing seminars, so there is a good chance he will be close to you at some point. Will you do a different handle pattern or color combination on my Tibetan Wave, Dragon's Tail or Phoenix tongue? I get this question several times a week. I promised Ron and Tom that I would not change the patterns. That is one way that they can easily identify my whips in their classes. However, I'm sure you have seen pictures of variations on my web site. These whips belong to Ron, Tom or a good friend of theirs. So, if you can get Ron to call me on the phone and ok it for you, I'll do it. Otherwise, I'm very sorry but the answer is NO. My sonic alignment whips come in any color and pattern you could want. Those may be a better fit. Thank you for understanding! Why do you link to your competitors? I admire the work these people put out. They have been really good to me in the past. They also carry different kinds of whips that I have no intention of ever making like the traditional stock whip, wood handled cow whips and snake whips. If you don't buy a whip from me at least buy a quality whip. Links to whip makers and whip related items. Rhett Kelley- I really love Rhett. He is really friendly and down to earth. He seems more than willing to have a real conversation with me. I believe he has been selling nylon whips online longer than anyone else. His whips have shown the world that nylon is cool and more than a passing fad. He has lots of different whips designs to choose from. Exowhips- I'm just getting to know Tyler Blake and I think he is a really cool guy. He works with dacron which is a really cool and very thin synthetic. He has a very unique design that I haven't seen anywhere else. Its worth checking out! Roy Partin- Roy is a really real cowboy who makes nylon whips that are made for working. His work is really lovely and the more I get to know him the better I like him. Woody Whips Devin Bauer is the craftsman behind these beautiful whips. Not only can plait a beautiful whip, he makes wooden handles teat look like they belong to a piece of luxury furniture. Silver Whips Sylvia Rosat is a very talented circus performer, a very nice lady and great whip maker. Also she is one of the very few women whip makers and the girls have to stick together! Mach One Whip Artistry- education in the supersonic arts. This website and classes are run by Daniel Trout. Check it out because Daniel is a wealth of information on all things whip related and he is a really amazing man as well. 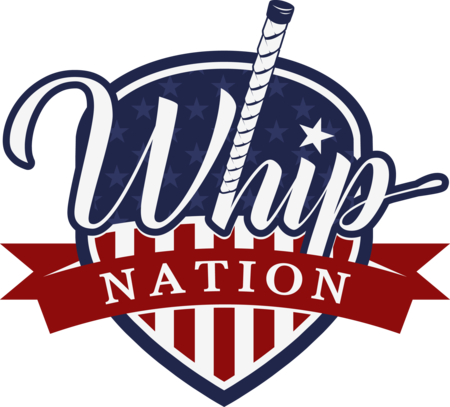 Whip Nation has just about everything you would ever need for making a whip. It has great quality and prices! E.L. Wood Braiding co.- This is where I am getting my paracord. I like this family owned business because they really seem to care about the costumers. Weaver Leather- This is mostly leather goods. They do have so paracord and nylon ropes but not too much. I like them because the have cool brass and silver conchos that look good on the end of a whip. Chi Energy- This is GM Ron Lew's website. Check out his videos! The Filipino Fighting Whip- The original book by Tom Meadows. Peter Jack- Peter is personally my favorite leather whip maker. Again, he is such a great guy and super talented. Australian Plaiters & Whipmakers Association -Representing most of the leading plaiters and whipmakers from Australia and beyond.